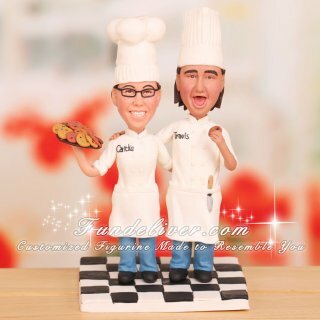 This is a completely customized pastry chef and chef wedding cake topper ordered by one of our customers. The groom is a chef and the bride is a pastry chef. 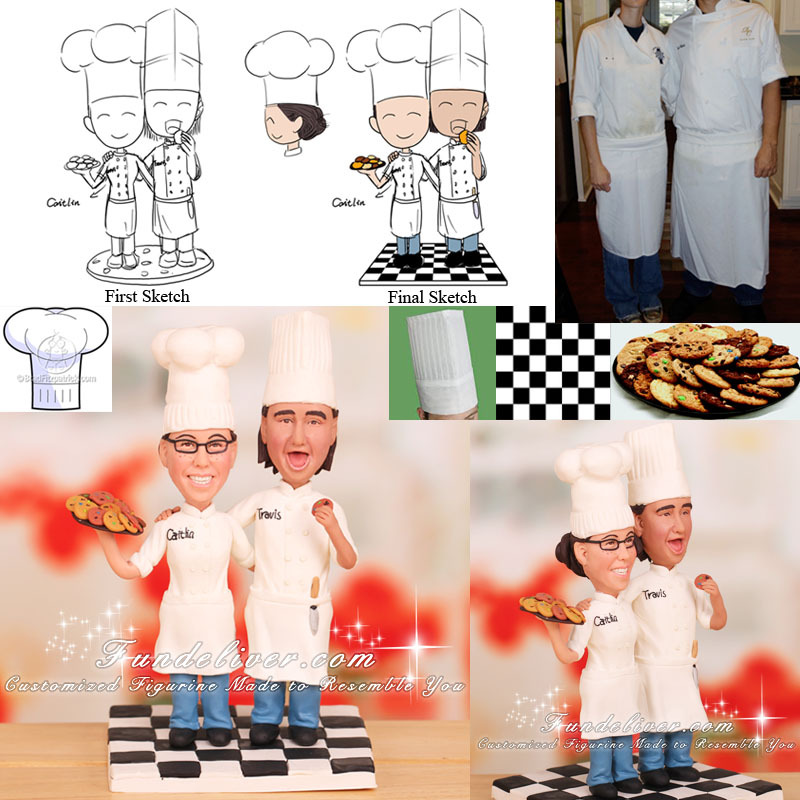 They would like a couple figurine to be wearing jeans and their chef jackets with names on the jackets and aprons. The groom’s jacket is fitted, not boxy. They wanted a pastry chef hat on bride’s head and a chef hat on groom’s head. For the pose they would like the bride to be holding a tray of cookies and groom munching on a cookie. Also the groom would like a big knife on his belt. For the base they would like a black and white checkerboard floor. They are very fun couple and the groom is quite the joker so a fun pastry chef and chef cake topper will be a perfect choice for them.